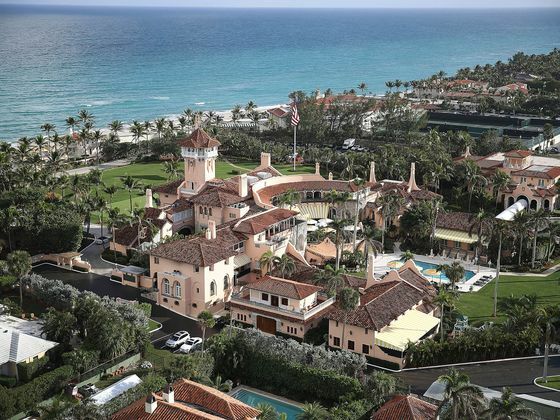 (Bloomberg) -- A Chinese woman who breached security at President Donald Trump’s Mar-a-Lago resort in Palm Beach, Florida, had an even larger cache of electronic devices than originally disclosed, including a signal detector used to locate hidden video or audio recorders. The devices were found among Yujing Zhang’s belongings in her room at the Colony Palm Beach hotel, about two miles north of Mar-a-Lago, federal prosecutor Rolando Garcia told a judge at a detention hearing Monday in West Palm Beach. Zhang isn’t facing espionage or related charges at this time, but the U.S. is looking into that possibility, Garcia said. In addition to the four mobile phones she had when arrested, a search of Zhang’s hotel room revealed five SIM cards, another mobile phone, nine USB drives and more than $7,600 in cash, mostly in hundred-dollar bills, along with some Chinese currency, Garcia said. On Monday, the government argued Zhang is a flight risk with no ties to the U.S. and should remain in jail. Zhang “lies to everyone she encounters,” Garcia told federal magistrate judge William Matthewman. The case has raised new concerns about security at Mar-a-Lago, the president’s private club in South Florida. Trump frequently carries out official business and spends time with his family at the so-called winter White House, which also operates as a business that hosts private events. Congressional Democrats asked the FBI to evaluate the national-security risks at Mar-a-Lago following Zhang’s arrest. The testimony of agent Samuel Ivanovich on Monday revealed there is no audio or video surveillance at the resort’s main Secret Service checkpoint. The agent, who spent more than six hours interviewing Zhang before and after she was detained, said he failed to make an audio recording. Some of their interactions were captured on video, but without sound, Ivanovich said. Zhang was arrested March 30 for illegally entering Trump’s resort and allegedly lying to a Secret Service agent. She made her way into Mar-a-Lago, first by claiming she wanted to go to the pool, and then that she was attending a social event, according to court documents. A receptionist tipped off the Secret Service because no social events were scheduled that day. Trump, who was at a golf course near Mar-a-Lago when Zhang was detained, defended the security measures at Mar-a-Lago last week, calling the Zhang intrusion “a fluke.” He said there are “very good” controls in place. Separately, the White House announced Monday that Secret Service director Randolph Alles would leave the administration as part of a shakeup of the Department of Homeland Security. In court Monday, Zhang entered in handcuffs and chains around her waste, wearing a navy blue prison-issued jump suit. At the request of the defense, the judge decided to resume the balance of the detention hearing on April 15 so that more information could be gathered. Zhang’s arraignment will take place the same day, the judge said. In his questioning of the Secret Service agent, public defender Robert Adler revealed that Zhang had never directly claimed to be a member of Mar-a-Lago in order to gain access. The testimony also revealed that an event had been scheduled and later canceled that bore similarities to the one Zhang claimed she was there to attend. At the time she was detained, Zhang also had a USB drive that allegedly contained malware, which can expose computers to malicious software. But the agent, Ivanovich, was unable on Monday to describe what kind of malware it was. He said another agent put the device in his computer and it immediately starting installing something. The agent shut down the machine to prevent a possible infection by a software virus. The device is still being analyzed, along with other electronics, Ivanovich said. Adler said there were innocent explanations for many of the allegations, including having two passports. Zhang’s valid U.S. visa was stuck to an expired passport, which she needed to carry in addition to her valid passport, Adler said. She also showed all the electronics she carried when entering the resort, including when she went through a metal detector, he said. Adler also told the judge the Secret Service interviewed Zhang for more than two hours at Mar-a-Lago and two more at a Secret Service facility before providing her with a Mandarin translator. In court documents and testimony, Ivanovich said Zhang appeared to comprehend English well.